Last November, just as winter was starting to settle into the Icelandic Highlands, we thought it would be a brilliant idea to drive the Crosstrek Hybrid across a volcanic plain. This video shows what a bright idea that was. 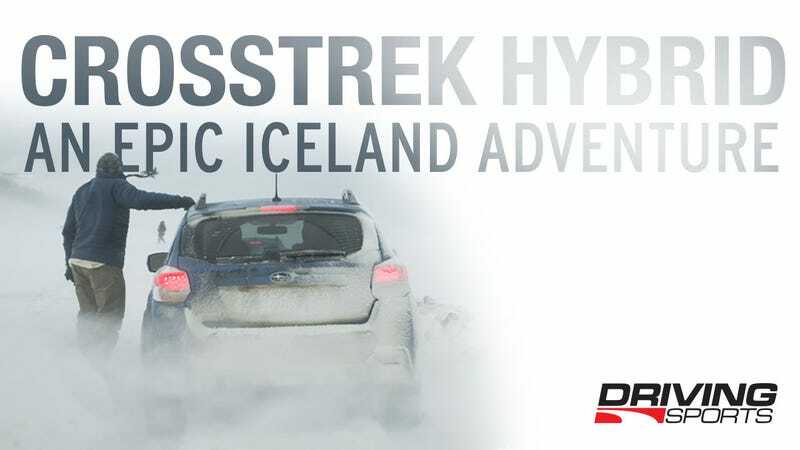 Ryan Douthit drives the 2015 Subaru Crosstrek Hybrid across Iceland in this epic adventure. I know that may come as a bit of a shock. Subaru making a Hybrid, that is. But yes, it's a real hybrid. It's not a retro-fitted Toyota system. Granted, driving into a winter storm isn't the best test for economy, but it sure made for an adventure. So stick your hands in a bucket of ice (just to feel half as cold as we felt) and click through to watch the epic video that almost caused a Donner Party revival.